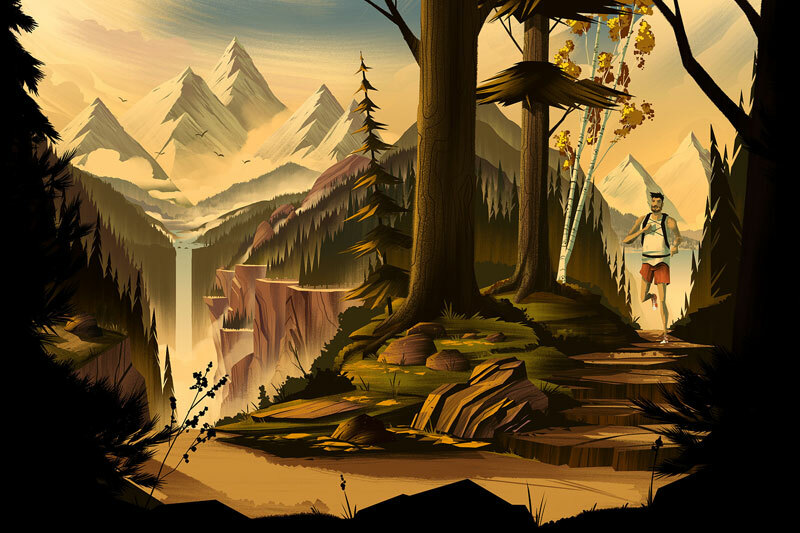 Brian Edward Miller is an artist and illustrator based in Erie, Colorado. In the digital illustrations below we see Brian’s unique, ‘art deco-inspired’ style. The four artworks below are a celebration of the great outdoors and were from three different commissioned projects. 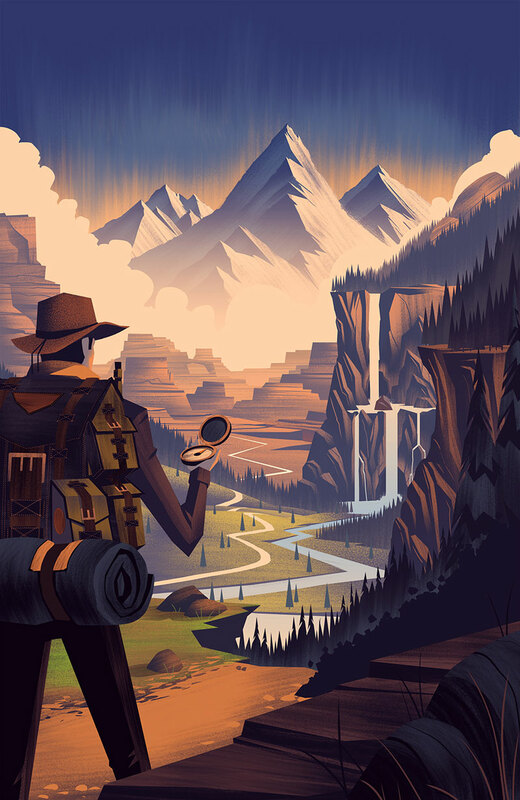 #1 was an illustration done for the Tarsus Group’s Label Expo in Chicago (learn more here). 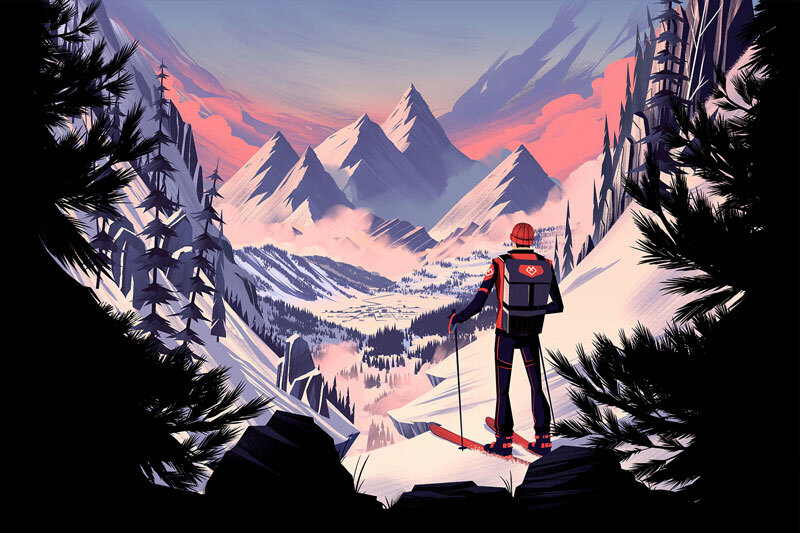 #2 and #3 were outdoor illustrations for the Australian-based retail company, Every Mountain (learn more here). 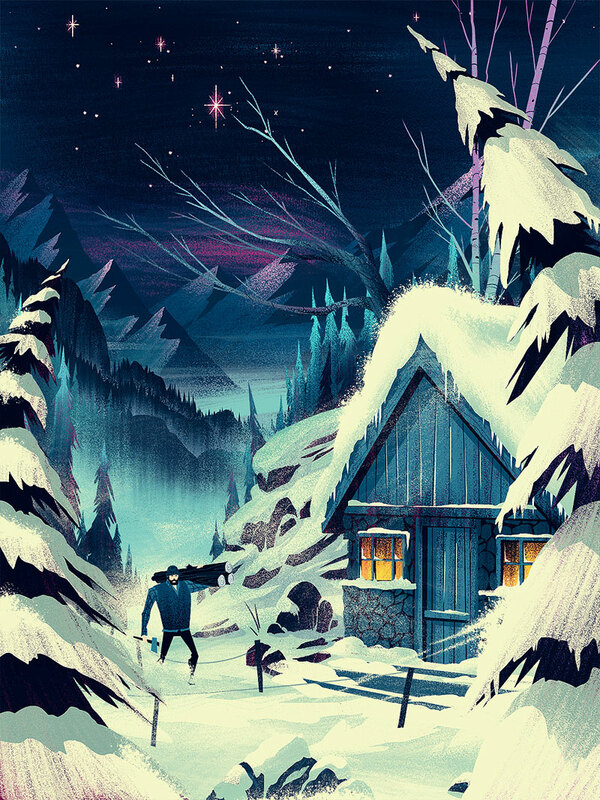 The final piece was an illustration for the cover of Adobe Inspire Magazine’s December ’13 issue (learn more here). To see more from Brian be sure to check out his fantastic artwork at any of the links below.